Building off of “The Devils are Here”, it’s all about set up in this episode. Empire is laying the foundation of the warring factions in the Lyon household. We’ll give it another episode or two, but the pink elephant in the room is the clutter of distracting cameos and slow brew storyline. This could be, however, the set up to an incredibly dramatic face off or plummeting story. We’ll see. The episode starts off with Lucious still in jail and is the king of the jungle, fresh off his Frank Gathers kill. His medication has been mysteriously misplaced so he’s showing signs of fatigue in this episode. He looked like he was seizing up trying to rhyme in the yard. This week’s major feature was Chris “Ludacris” Bridges and he was doing too much in his first scene as the overbearing Officer McKnight, but came around as the episode went on. Jamal meets with dear old dad in prison to give him the scoop on what’s happening with the company. The cameos were cool last season because each episode had a new artist guest star, but that was it. This season there are so many cameos I can’t keep up with everyone in their bit roles. However, Andre Royo steps in as Thirsty Rawlings, a shady lawyer who seems to have an interest in being Lucious’s lawyer. Royo seems like a good casting choice and an interesting addition to the drama. Never the one to roll over, Cookie goes to the old recording studio (you remember the one where they “tried” to kill Jamal) to set up shop. Booboo Kitty is already there trying to mold an artist, but now that the alliance is no longer needed Cookie kicks her out. The studio is meager in comparison to the Empire and is visually setting up the David vs. Goliath companies through the settings of the show. Jamal is stepping into a zone as the sensitive leader. He still isn’t fit for the throne because he’s too sensitive for the ring, but Jussie Smollet is doing his thing as an actor. He’s molding Jamal into a character that you root for, because his heart is in the right place as an artist and family member. Hakeem still desires the crown and tries to put together a three woman group to prove his A&R abilities, while leaking his album online to shake things up at Empire. Lucious managed to record another banger for the streets behind bars. Was it just me or did it seem like Lucious was about to get got when he opened that closet door? Maybe I’ve seen too many prison shows. The “Hustle & Flow” reminiscent throwback in the prison was dope though! Andre is going to go crazy if you don’t let him back in the fold Lucious! After meeting his father at the prison, Andre got the cold shoulder. Honestly, this is all too familiar as Lucious continues to use his son’s blind ambition and desire to please him to do his bidding...which I’m sure will happen next week. Lyon Dynasty, Cookie’s record label, is a nice wink at the tv series this one happens to be similar to. Here’s to hoping episode 3 shakes things up a bit. As the ratings have slipped slightly, it needs a pick me up! Andre hasn’t shown his crazy yet this season, but I have a feeling it’s coming soon. 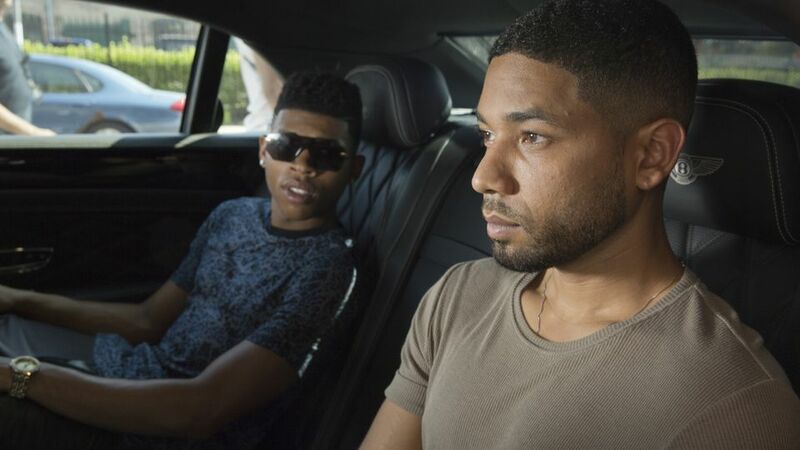 Lucious’s emotional manipulation of his son’s is starting to age. Hakeem is showing himself to have a mind of his own, which will likely be an advantage for him down the line. Leaking his album to the world was a bold move. Jamal is going to have to step aside once pops gets out. That, or Lucious is going to play puppet master.